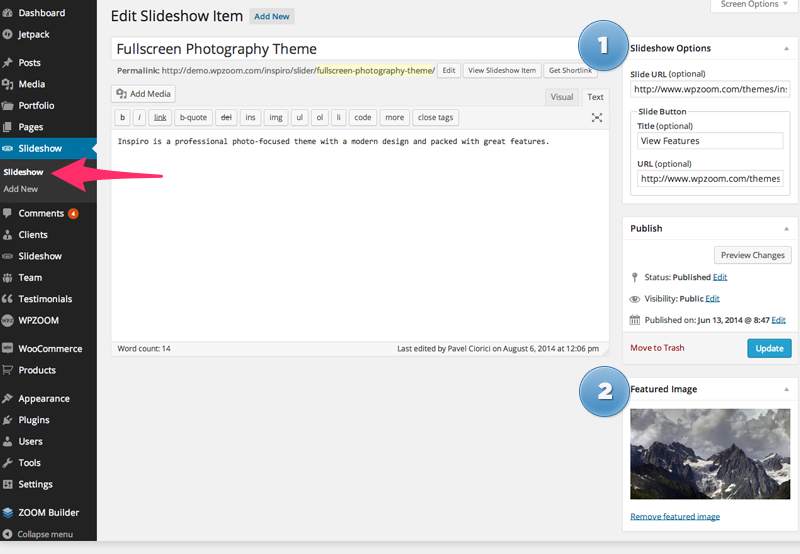 In the Slideshow Options section you can add an optional button for a slide. It’s also required to upload a Featured Image. 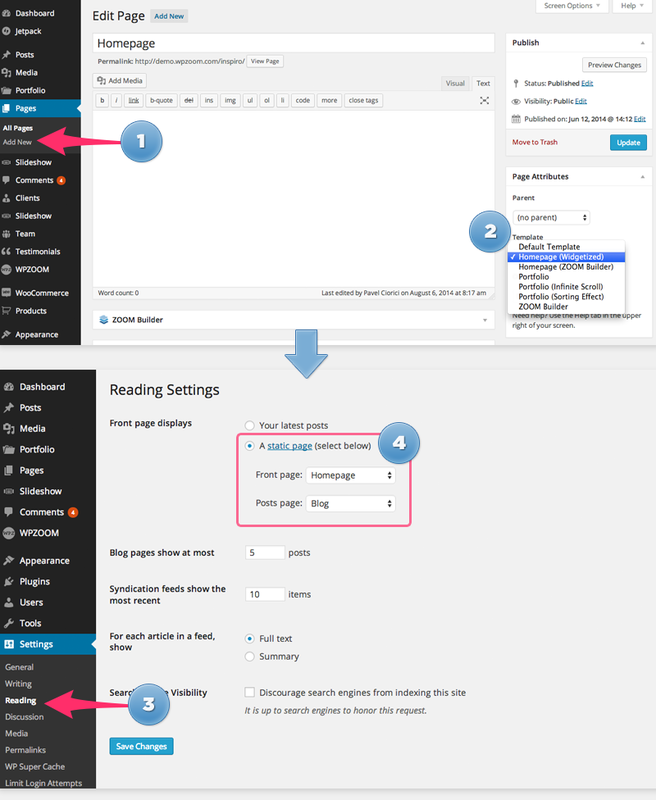 Go to WordPress Dashboard and create a new page named Homepage, for example. 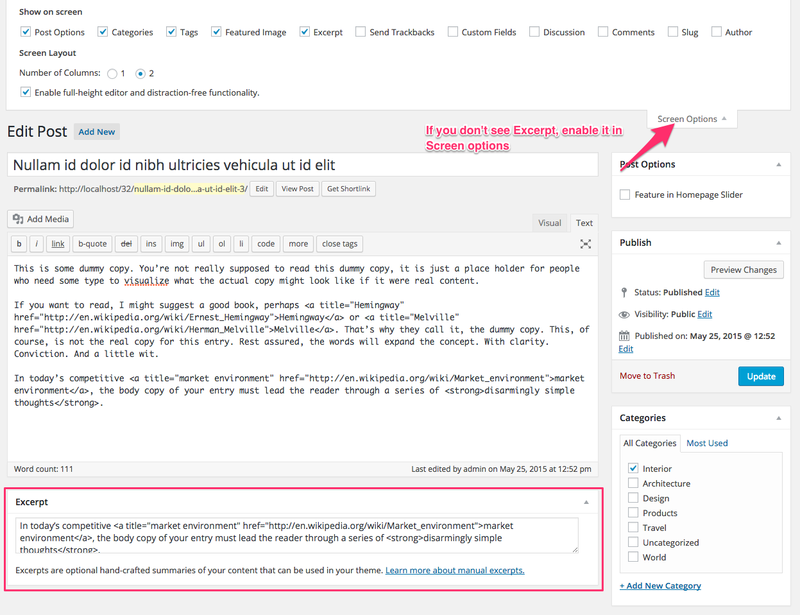 Assign the Homepage (Widgetized) template to your new page from the Attributes box, then publish the page. 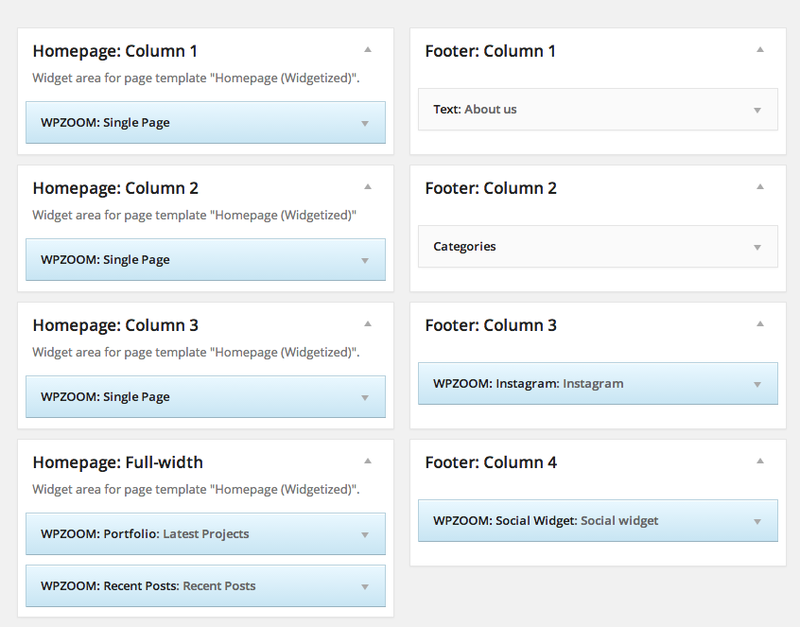 After that go to Appearance > Widgets page in the WordPress Dashboard, and add widgets in the areas which name starts with Homepage, and these will appear in your homepage. Portfolio (isotope) – this template is based on the Isotope effect, and will display all your Portfolio posts on one page, so you can be able to sort them using the categories at the top. 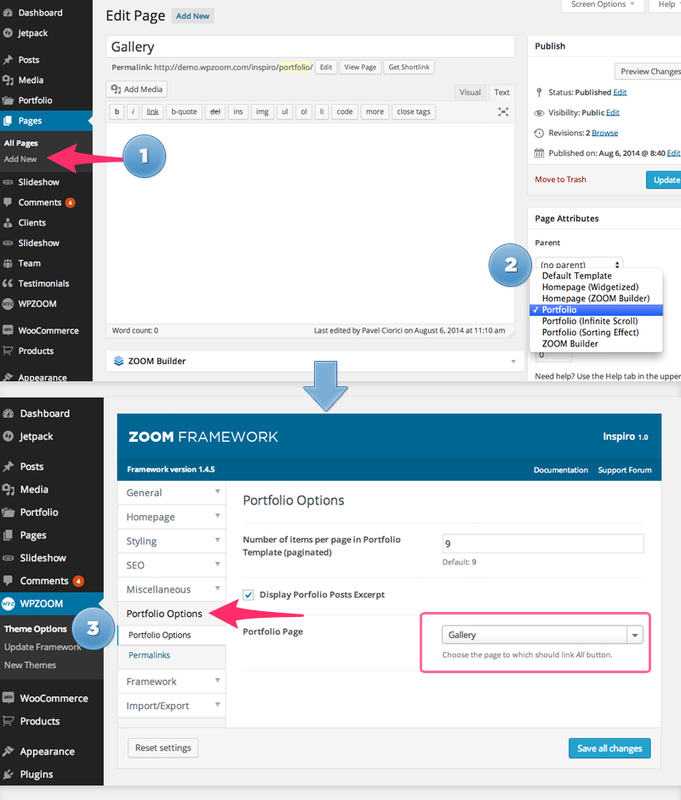 Once you created your Portoflio page, navigate to WPZOOM -> Theme Options. 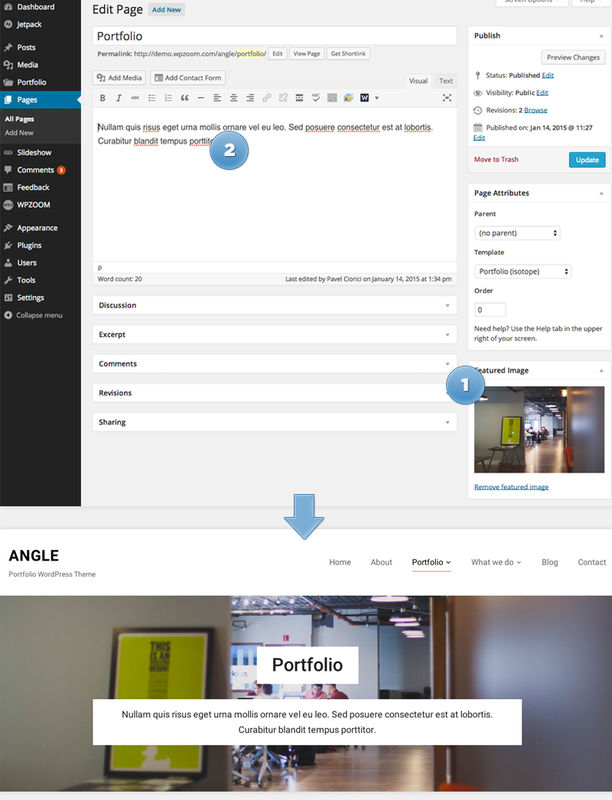 In Portfolio Options select the your newly created page in the dropdown for the Portfolio Page option. 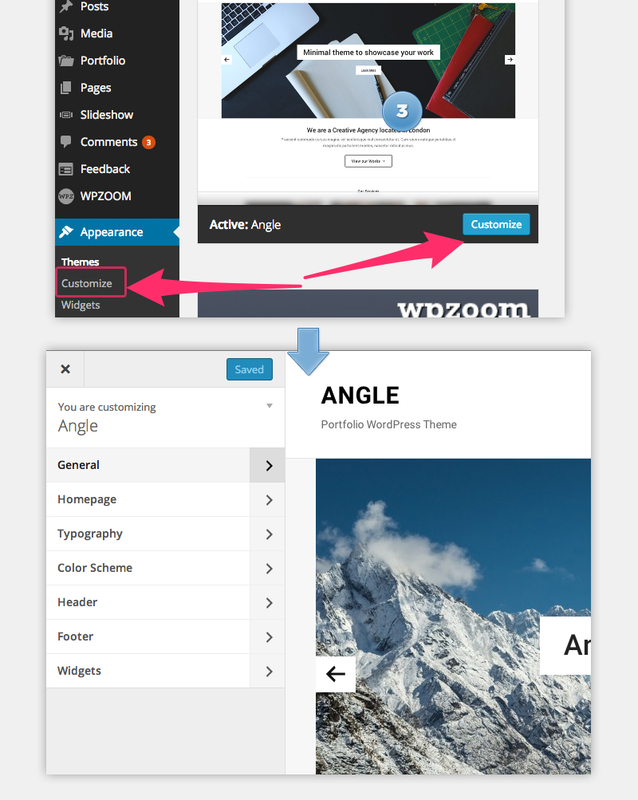 In Angle theme many options can be changed and customized from Theme Customizer. You can access the Customizer from Themes Page. 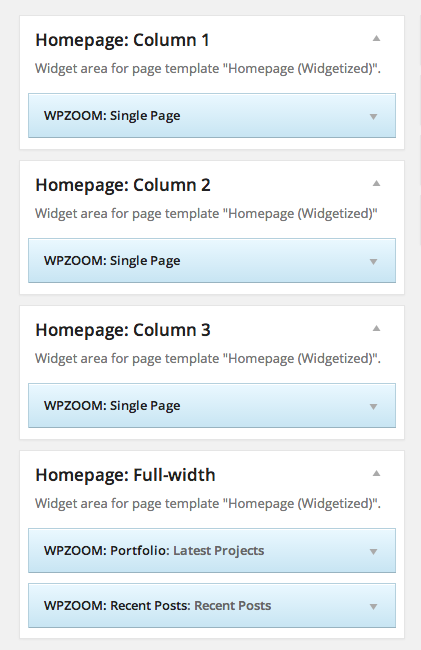 In Homepage you can change the number of columns for widgetized areas from the homepage. Upload a Featured Image to your post or page with recommended size of 1400x500px. In Portfolio templates you can also display a text under the title, and you can add this text directly in the content of the page with Portfolio template. 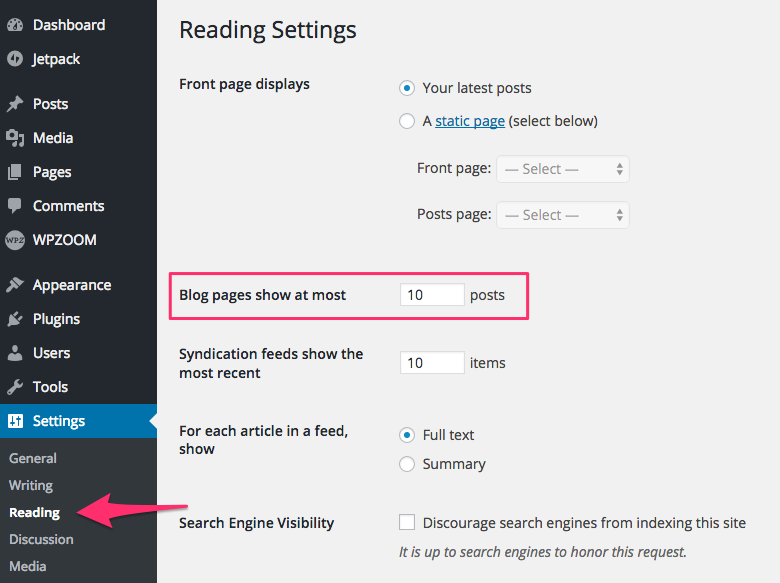 If a page has a Featured Image then it will be displayed in the widget, in case you have enabled this options in widget settings. This widget will display the full content of a page, but you can easily make use of the <!--more--> Read More tag and insert it anywhere you want in the content. How do I add a Contact Form to my website similar to the one from Demo?